Brazilian mining company Vale SA plans to double its iron ore exports to China within five years, Jose Carlos Martins, the company's head of ferrous metals, told reporters on Thursday. Rio de Janeiro-based Vale is the largest producer and exporter of iron ore, the main ingredient needed to make steel. Martins also said the company plans to export about 400 million tonnes of iron ore a year within five years, nearly 50 percent more than the 270 million tonnes it exported in 2013. 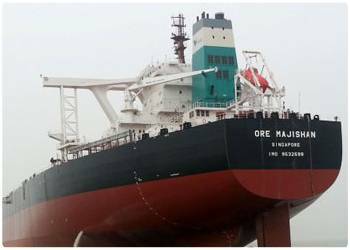 Vale is considering the purchase or hiring of new ships to transport the new volumes of iron ore to China, Martins said. Vale preferred shares, the company's most-traded class of stock, fell 0.9 percent to 28.15 reais in late-afternoon trading on Thursday in Sao Paulo.